Kenyan police fired live rounds at anti-government protesters in Nairobi as unrest broke out in several cities over election results. Opposition leader Raila Odinga claims he has evidence the vote tally was hacked. As many as four protesters were reportedly killed as election-related violence erupted across Kenya and the opposition claimed massive vote rigging. 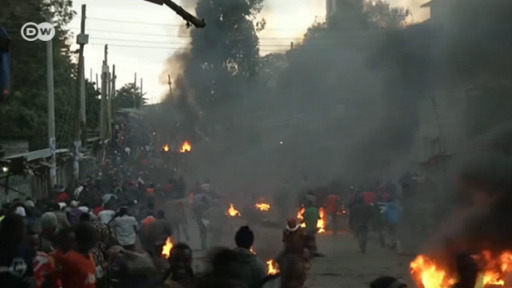 Two protesters were shot dead in the Nairobi slum of Mathare, with reports of police firing live rounds also coming from the opposition stronghold of Kisumu, in western Kenya. Nairobi police chief Japheth Koome said the two were shot because they were stealing during the protests. Another police officer said that the police were sent into the slum to "quell the chaos." "We are told many of them were also thieves who took advantage and could not even obey the police," the officer told the AFP news agency. "Two have been fatally wounded." Later, two more people were reportedly killed in the southeastern Tana River region, after five men armed with knives stormed a vote tallying station, stabbing one person. "Our officers killed two of them and we are looking for others who escaped," regional police chief Larry Kieng said. "We have not established the motive yet. We don't know if it is political or if it's a criminal incident, but we are investigating and action will be taken." In a separate incident in Kenya's southeast Lamu region, a hyena accidentally set off a homemade bomb which a security official claimed was planted to disrupt the elections. Joseph Kanyiri, the head of a task force of security agents, said that the bomb was planted on a road that officials use to transport ballots to a counting center, and that the animal walked over it. Al-Shabab extremists previously threatened attacks on election day. The group often targets the Lama region, which borders their stronghold of Somalia. The latest uptick in violence is linked with yesterday's general and presidential election, and comes as the electoral commission is still tallying up the results. According to results based on 96 percent of the polling stations, officials put opposition leader Raila Odinga 1.4 million votes behind the current president, Uhuru Kenyatta, who has garnered 54.4 percent of votes to Odinga's 44.8 percent. However, Odinga has dismissed the results and repeatedly insisted that he was actually in the lead. The 72-year-old opposition leader claims that the program counting up the votes was hacked, and that the attackers used credentials of the murdered election official Chris Msando. The IT expert, who helped develop the vote-counting system, was found dead less than two weeks ago. His body showed signs of torture. On Wednesday, Odinga slammed the entire election as a "fraud." "This is an attack on our democracy," he said. "It is the machine that has voted." He later posted a trove of computer logs on his Facebook page, claiming they were a proof of election fraud. Kenya's electoral commission has denied any instances of interference in the voting or vote tallying. "We confirm there were no interferences before, during [or] after the polling exercise," the commission stated on its Twitter profile. Former US Secretary of State John Kerry, who was in Nairobi leading a mission of election observers, endorsed the election commission, saying its ability to secure its voting system "appears to be very, very strong." The heads of nine international observer missions released a joint statement calling on parties and their supporters to remain calm, and turn to the courts with their grievances: "We appeal to all citizens of Kenya to remain committed to peace and the integrity of the electoral process." Kenya has faced election violence in the past, most notably in 2007, when Odinga also lost narrowly according to the official count. 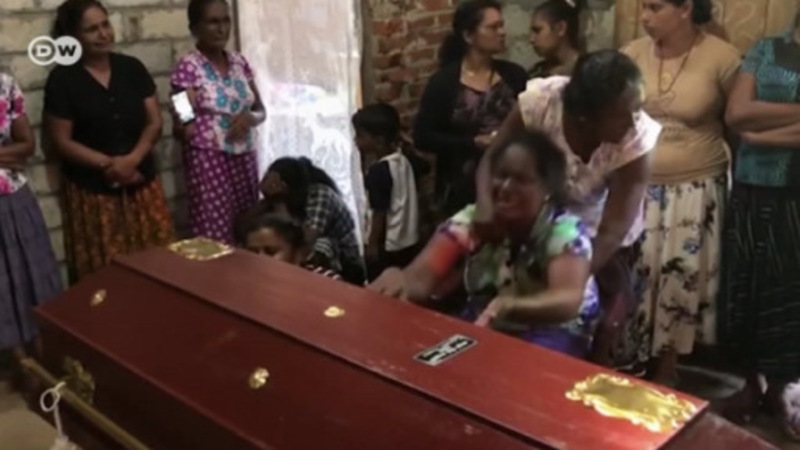 In the post-election violence that followed, more than 1,100 people were killed.